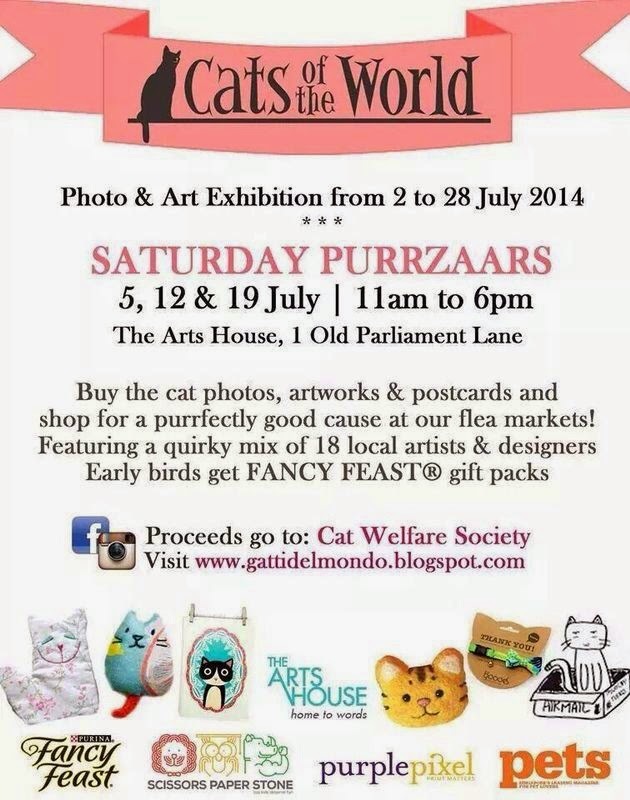 I went to the Cats of the World photo and art exhibition yesterday. There were photos and arts of cats; small booths selling clothes, notebooks, collars, bowls, crafts, and all sorts of other trinkets. It had great atmosphere. The people there all were really enthusiastic about helping out the Car Welfare Society, and I highly recommend you going there on the 12th or the 19th this month. 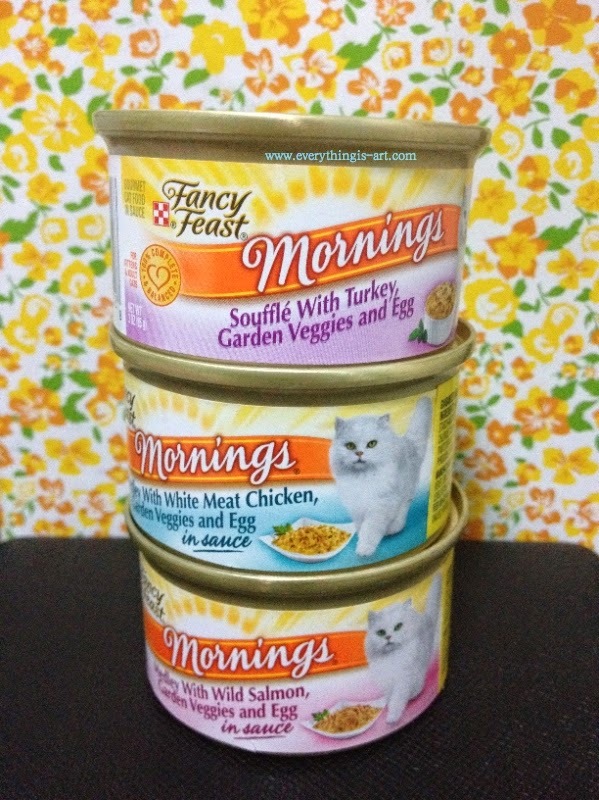 Above: They gave out free samples of Fancy Feast's Mornings to early birds. 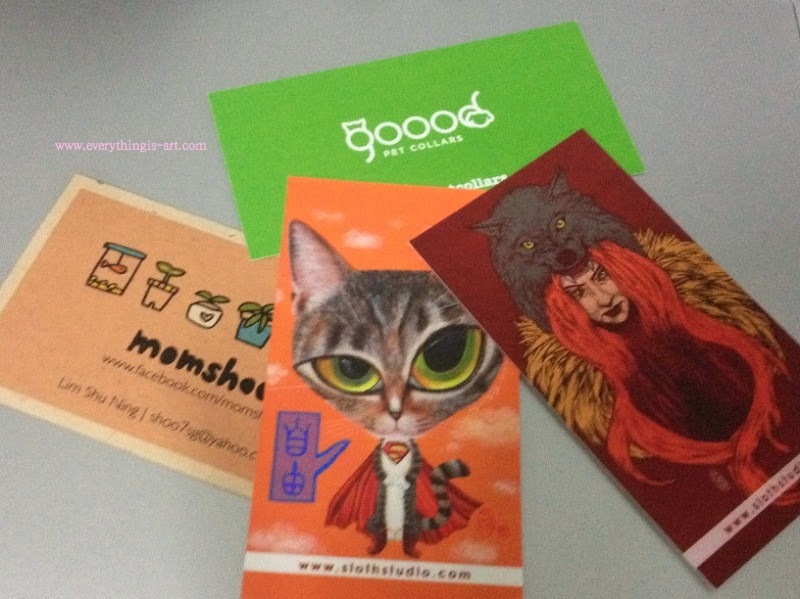 Above: Name cards of the shops selling goodies at the event. Awesome stuff there. 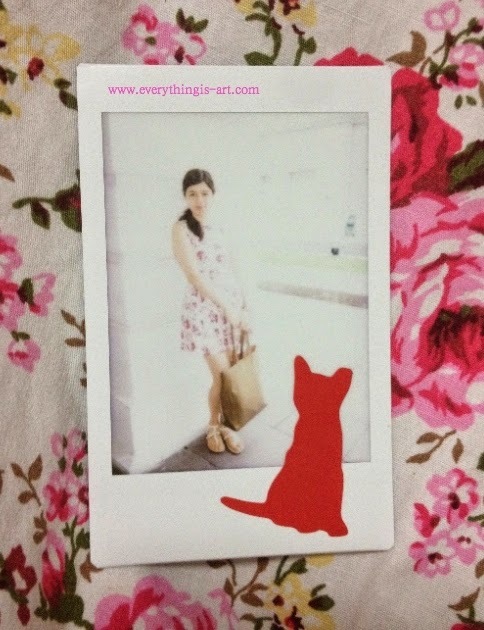 And finally, a polaroid of me outside The Arts House with a red sticker of a neutered cat stuck on it. You can get a sticker if you make a donation to the Cat Welfare Society. The Cat Welfare Society does lots of good for the community, stray cats, and cats who need to be adopted. The people at the event really were passionate about cats. The items on sale were really cute and unique. What better way to spend your day than to help out the Cat Welfare Society and get cute things while you're at it too. So book your calendar! Happening on the 12th and the 19th of July.